The Flash season 4 is back with episode 14 and Team Flash is still trying to track down the real Clifford DeVoe. They are on a time limit though because Clifford DeVoe is on the hunt for the remaining metahumans to steal their powers and bodies. Clifford DeVoe is currently inside the body of Becky Sharpe, but her petite body is weak. DeVoe is in need of a new body and he may have found his next best target who's an attractive woman by the name of Izzy Bowen. Before that happens though, Barry Allen's CSI job is in jeopardy. Everyone at the police station is not fully convinced Allen is innocent thanks to the supernatural nature of Central City. Allen has to take a leave of absence and has no timeframe to come back. Barry instead just has to focus on being The Flash and stopping DeVoe. I thought this week's episode was weird as it seemed as if Barry Allen acted out of character and The Flash's powers were nerfed. It appears as if this episode wanted to make Ralph Dibny a more caring character than Barry. Anyway, Izzy Bowen is the newest metahuman on the hit list and she has powers where she can dish out powerful sound waves from her hands. Barry and Ralph catch her after a concert convincing her that she is in danger, but she denies their help. That is until DeVoe (inside Becky’s body) shows up and reveals that he wants Bowen’s body. DeVoe has gotten a lot stronger thanks to getting all of the new powers and he easily knocks The Flash (Barry) and Elongated Man (Ralph) down. However, DeVoe is not at 100 percent and Izzy Bowen manages to wound DeVoe using her sound wave attack. This attracts Barry a lot because he feels she could be powerful enough to join the team and fight off DeVoe. Even though it was Barry’s idea to try and woo Bowen into Team Flash, it’s actually Ralph Dibny’s charm and kind heart that convinces her to stay with them. Barry was acting kind of moody for some reason and wasn’t as friendly as he usually is. The team come up with an idea for Bowen to control her powers a little easier by playing on a violin. Her technique looks pretty cool, although she will need to be faster if she wants to hit a moving target like DeVoe. Barry pushes her hard by making her shoot targets while he zooms around her. Although she is mostly successful from her training exercise, some exploding debris cuts her arm and she wants to leave Star Labs after that. Barry did not really feel sympathetic about her injury and even Iris feels he's acting out of character. Ralph Dibny (who starts to like Izzy) tries to make her stay but she think she's powerful enough to take out DeVoe on her own and escapes. Cisco manages to use his vibe powers as Izzy left her bag over at Star Labs. She's currently in a dark alleyway calling out DeVoe to face her. The Flash and Ralph Dibny come to the rescue of Izzy Bowen, although they might be too late again. As expected, Clifford DeVoe easily disposes of The Flash and Ralph Dibny. Even Harrison Well's new creation called the 'cerebral inhibitor' is no match for DeVoe when Izzy puts the device on his head. The sad part comes next as DeVoe leaves Becky's body and steals Izzy Bowen's healthier body instead. The Flash and Ralph Dibny can do nothing but watch because DeVoe has a powerful barrier stopping them from helping her. Ralph Dibny is determined to break through the barrier, but he isn't powerful enough. Surprisingly, The Flash just gave up easily and it looked like he didn't really want to save Izzy. DeVoe escapes with Izzy as his new body and leaves the two heroes sad and defeated. You have to feel sorry for Ralph Dibny in this week's episode as Izzy Bowen was the only character that he showed some feelings towards. I feel this week's episode did not do much favors for The Flash or Barry Allen. He wasn't very helpful or his usual nice self. That said, it might be because he spent the last few weeks being in prison. The episode ends on a slightly more happier note as Ralph Dibny makes Barry Allen his partner in his private investigation company. Both men know what it's like being shafted from the police station. Anyway, the next few episodes are going to focus on the next three metahumans on DeVoe's hit list. DeVoe wants to steal the powers of everyone so he's powerful enough to take down The Flash once and for all. Wanna read more on this? Check these out: Jesse L Martin Taking A Leave Of Absence From The Flash (more); The Flash Season 5 Episode 4 Review: 'News Flash' (more); The Flash Season 5 Episode 3 Review: 'The Death of Vibe' (more); The Flash Season 5 Episode 2 Review: 'Blocked' (more). 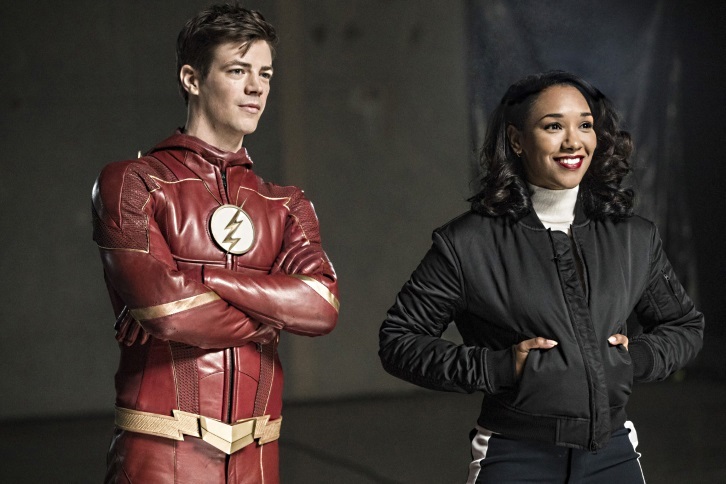 And here are some more related articles: The Flash Season 5 Episode 1 Review: 'Nora' (more); Candice Patton Criticizes Lack Of Female Funko Pop Toys Being Made For The Flash (more); Kid Flash Won't Be In Many Episodes Of The Flash Season 5 (more). A few more: Comic Con: The CW Releases New Trailers For Supergirl and The Flash (more); The Flash & Riverdale Stars Discuss Taking On Previously White Only Roles (more).